The After Eight Club, named after the well known mint chocolates(! ), is a group for women that meets at 8pm on the second Monday of the month in Room 1. We have a varied program of speakers which for 2012 have included a talk on the Carshalton lavender fields, the Enigma machine from Bletchley Park and our charity for the year, the Neil Desai Foundation. Our outings have included a Christmas Meal at the Midas Touch and a summer visit to two Surrey Open Gardens. New members are always welcome. Please contact Carol Salter (020 8337 2452) or Shirley Moore (020 8330 5298). Quest Club provides a meeting place for people with a physical impairment between the ages of 20 – 65. However, once a member there is no age cut off. 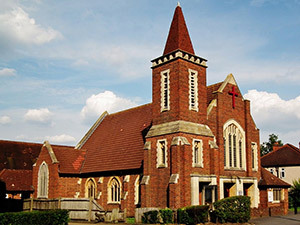 We meet at Christ Church with St.Philip Church Hall twice a month where, for a small sum, lunch is provided, followed by social activities or speakers. We enjoy the occasional outing, especially at Christmas, and also a Christmas Lunch to which friends and relatives can be invited. Quest Club meets on the 2nd & 4th Fridays in the month from 12.45pm – 4.00pm. For further information contact June Day, Secretary, on 020 8330 1220.